Sulwhasoo, Korea’s leading luxury beauty brand, presents to you a decadent selection of limited-edition luxury gift sets this festive season. Inspired by flamboyant fireworks in colours of Obangsaek – the 5 traditional Korean colours of white, black, blue, yellow and red, Sulwhasoo’s Holiday (Limited Edition) Sets are perfect gifts to shower your loved ones, or even yourself, with some major TLC! The perfect set for women who want to achieve radiant skin, the First Care Activating Serum EX is Sulwhasoo’s best-selling boosting serum that consists of JAUM Balancing ComplexTM, designed to supplement the skin’s yin energy – an essential first step to flawless complexion and resilient skin. Experience the different scents of Sulwhasoo’s signature serum, First Care Activating Serum EX this holiday season! From forest-refreshing notes to gentle floral blossoms, entice your senses with its many fulfilling scents! The Sulwhasoo Perfecting Cushion EX is a well-loved product by many and is known for its amazing full coverage with the supply of radiance and healthy resilience. It is an all-in-one cushion that has sunscreen SPF50+/PA+++ and multiple skincare benefits, keeping your skin flawless and smooth for hours! 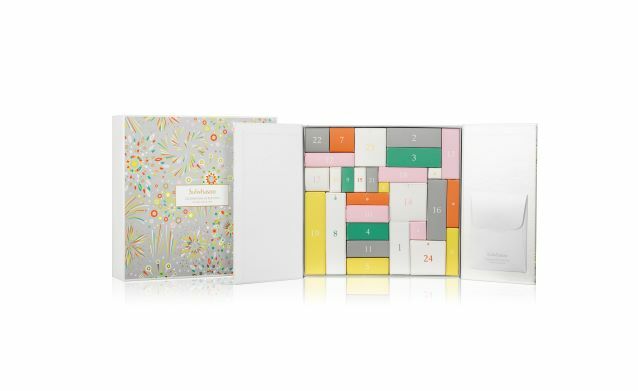 Sulwhasoo launches their first ever Christmas calendar this year and it is an absolute skin treat! Their 24-door advent calendar is brimming from everything from skincare essentials to heavenly body treats and scented candles (which calls for an amazing spa experience). It is totally indulgent and will make your festive month a little more luxe! Sulwhasoo Holiday Limited Edition Sets are available nationwide starting mid-November 2018 onwards. All images courtesy of Sulwhasoo Malaysia.